The Pilgrimage will be held December 6-8, 2018. The Preview Party and Candlelight Home Tour will be Thursday evening, December 6. The Home Tour is set for Friday, December 7, and Saturday, December 8. Our theme is "Celebrating Traditions of Giving." We look forward to honoring Isla Reckling and her family for their many significant contributions to our community. This family has positively impacted the greater Houston area in multiple ways for many generations. 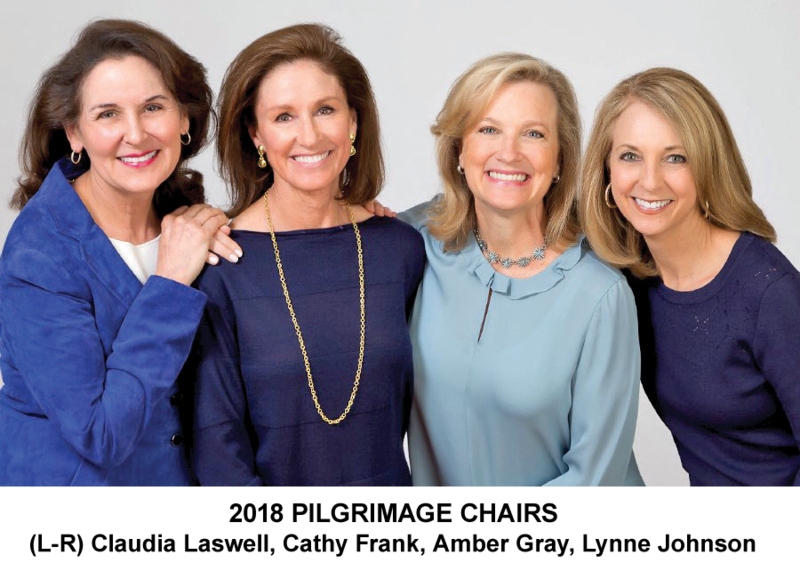 Isla Reckling and several of her daughters, granddaughters, and daughter-in-law are loyal and involved Kappas! Pilgrimage co-chairs are Cathy Frank, Amber Gray, Lynne Johnson, and Claudia Laswell. PLEASE PLAN TO JOIN OUR TEAM AS A VOLUNTEER OR UNDERWRITER! We welcome your support and look forward to working with our Kappa community on this wonderful and worthwhile Kappa Tradition of Giving.